Mary Horne CPDT-KA, SFSPCA CTC is a passionate trainer/teacher and enthusiastic participant in a variety of dog sports. After a 20-year career in financial and consulting services, Mary left the corporate world to found Good Dog U, LLC in Stamford, CT with the express goal of making motivational, energizing training more readily available to the dogs and their people. In 2001, she attended the San Francisco SPCA's Academy for Dog Trainers six-week Certificate in Training and Counseling program, led by Jean Donaldson and Janice Bradley, and graduated at the top of her class. From that point forward, dog training has been her full time vocation and avocation. While living in CT, in addition to running her private training business, Mary served as Executive Trainer for the NYC-based therapy dog organization The Good Dog Foundation and later as Competition Obedience and Family Manners Instructor as well as Competition Obedience Training Director at Port Chester Obedience Training Club in White Plains, NY. She and her family moved to Southern VT in the Spring of 2013. Mary loves training and competing with her dogs and has trained multiple dogs to a host of titles in several venues. Mary is currently blessed with 3 fun-loving Lab girls -- 11-year-old Pepper (OTCH-C ARCH Radiance Love That Spice UD, RE, BN, JH, UDX-C, CD-CCH, RL1X, RL3, WC), 3-year-old Otter (Rhumbline's Against All Odds CDX, BN, RN, CDX-C, JH, NAP, NJP, CGC), and 14 month old Ruby (Rhumbline’s Shoot for the Stars), who is building foundations for future dog sports competition while enjoying being a kid and keeping the whole family on its toes! 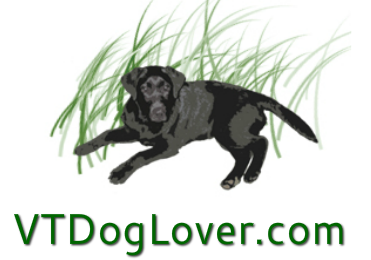 ​Mary’s beloved competition partner Dakota (OTCH-C ARCH Rhumbline’s Rambling Dakota UDX2, OM2, BN, RAE, WC, UD-C, RL1X, RL2X, RL3, CPE L1) was halfway to her AKC OTCH when she succumbed to nasal cancer at the age of 6 in late 2017. In her brief career, Dakota earned multiple AKC and CDSP HIT and High Combined awards and over 20 perfect 200 scores in CDSP Novice, Open and Utility, always with the utmost in joy and enthusiasm. She was an amazing friend and teacher and is sorely missed.